P.S. I made some minor adjustments to the new tank, which I noted in the steps. P.P.S. 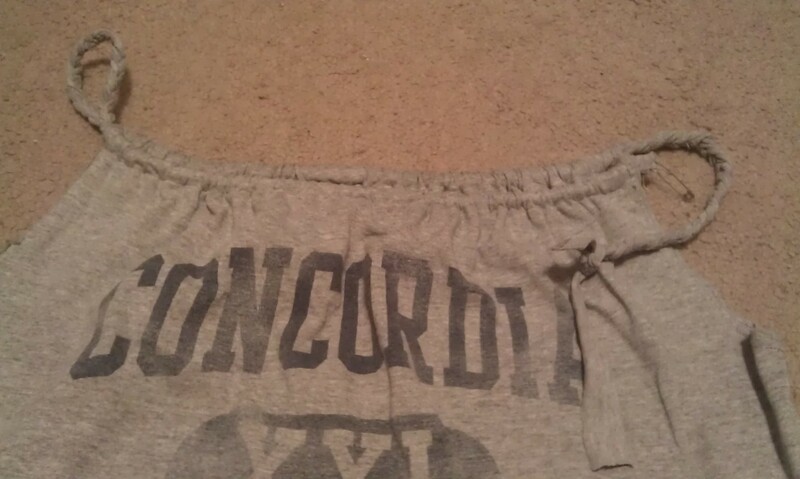 I am not an expert seamtress by any means, and I don’t know the correct sewing terminology or measurements. So, I apologize if some of the steps aren’t clear or confuse you. 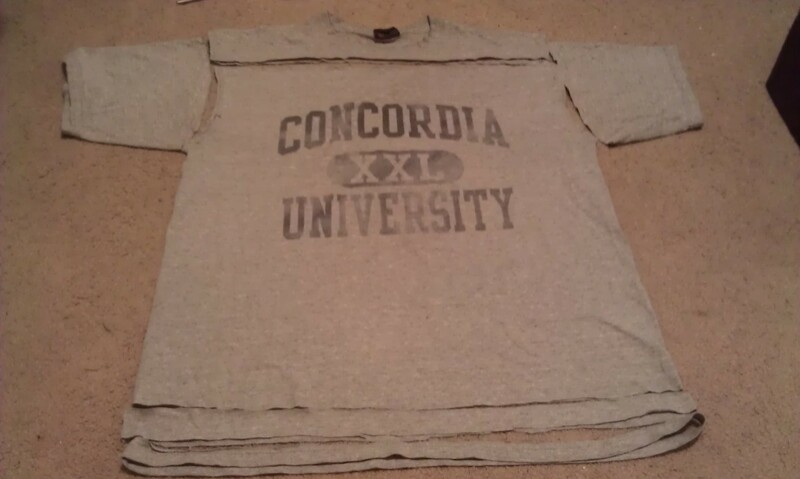 STEP 1: Pick a T-shirt to turn into a tank. 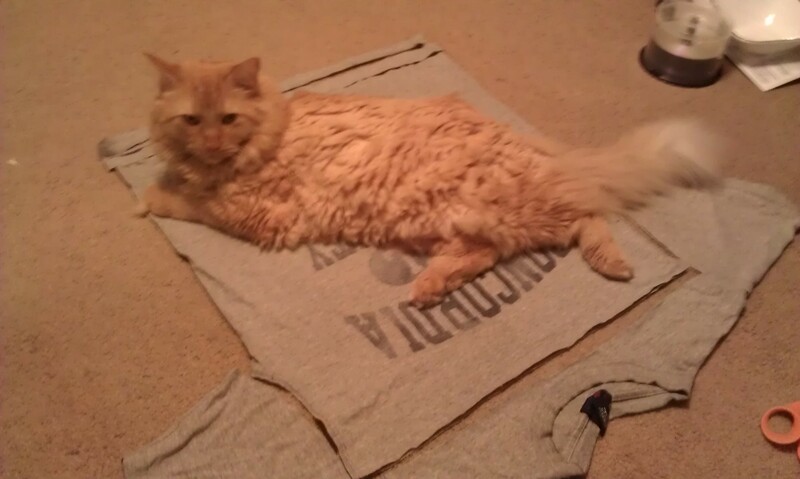 OPTIONAL STEP: Remove cat from shirt before making five cuts. But she's so adorable! Who could ever remove this pretty kitty? 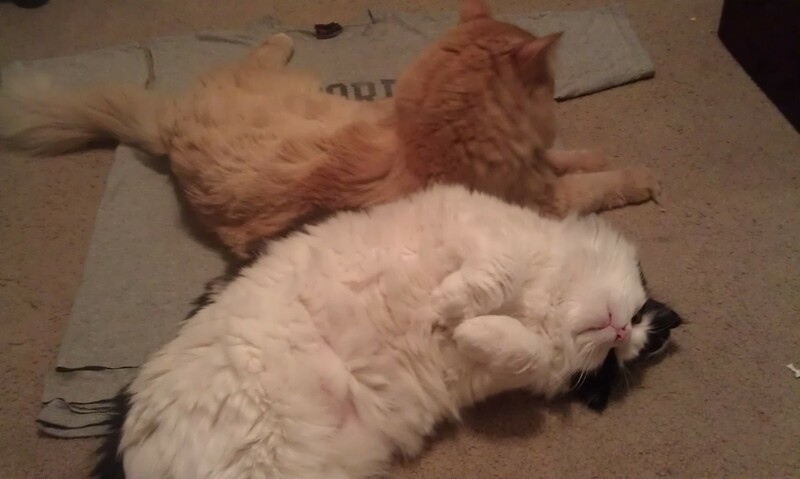 STEP 2: Remove both cats rolling around on shirt despite their cuteness. If you look at the lower left of the photo, you can see the two cuts I made to the bottom of the shirt. 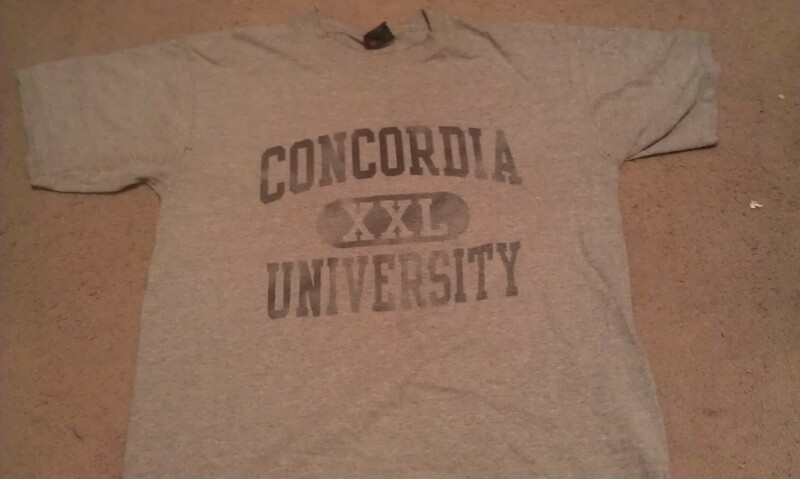 STEP 3: Cut off the sleeves. On my yellow tank, I cut the sleeves just after the seam (eliminating any seams). 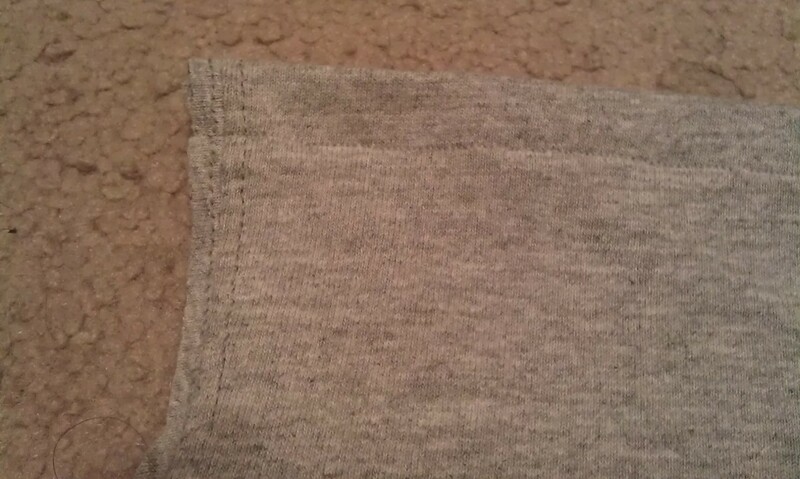 But this time, I cut just before the seam for a tighter fit in the arm area. And I wanted to see if cutting before or after the seam made a difference -- at this moment, I don't see a huge difference. 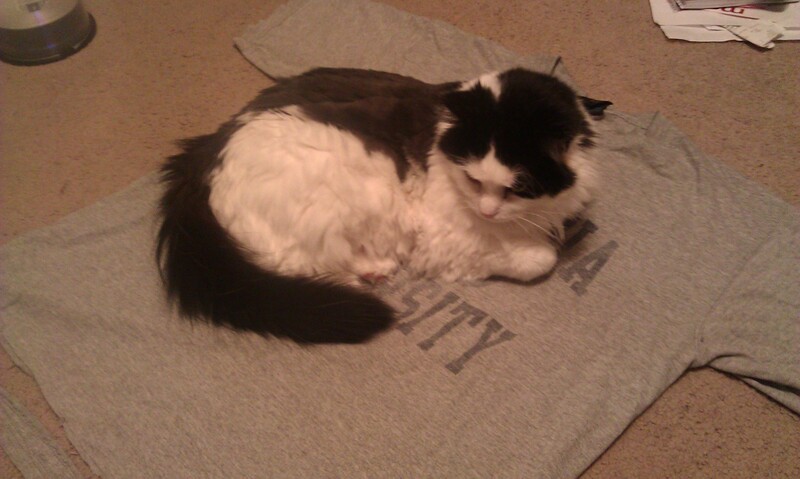 STEP 4: Remove cat from shirt. Also, cut the neckline just below the collar. REVIEW: This is what the shirt will look like when you've made the five cuts. Oh, don't throw away the cut pieces. You will need the second strip from the hem for the strappy part. STEP 5: Pin the front and back of the shirt (hem?). I'm also leaving the measurements up to you, but just make sure you leave enough room to wiggle in the straps. 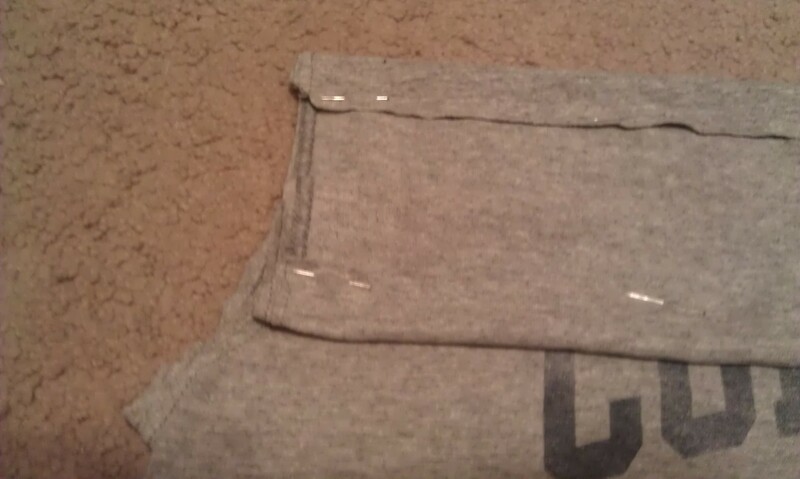 STEP 6: Probably not the greatest photo in the world, but sew (hem) the front and back edges of the shirt. 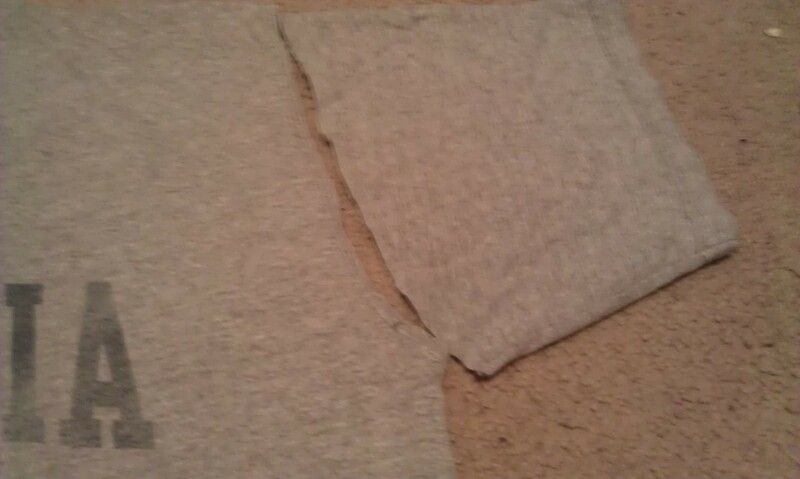 STEP 7: This is where I made a minor adjustment to the gray tank. From the original tutorial, take the second strip from the hem and run it through the front and back of the new neckline. This step can be varied -- just tie the straps, make one long continuous strap, use another strap, etc. COMPLETE: With the fabric I cut, I braided three long pieces to make one long continuous strap. I made sure the braid could fit through the gaps before I sewed my lines. Using a safety pin, I snaked the braid through the new neckline. I adjusted the neckline-strap to my comfort and sewed the two braided ends together, hiding the seam in the covered neckline. 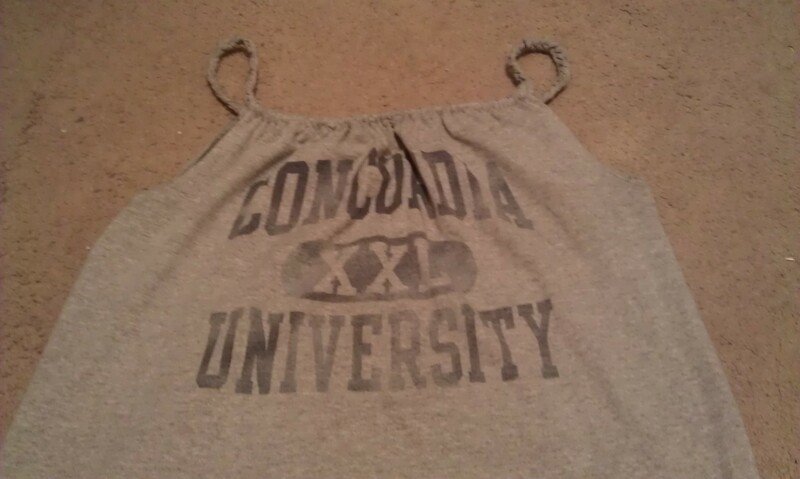 I have to say that this is my new favorite T-shirt to tank -- I love the braid straps. Good luck!